Loving Heart offers non-medical personal /companion assistance to clients in their routines and daily activities, helping them to maintain a sense of pride in their appearance. 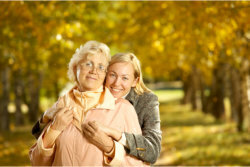 Our job as care provider is to help your loved ones live safely and confidently at home. As we carry out our duties, we will give each and every patient the best home health care suited for their needs. We aim to instill the value of respect and understanding throughout the homes where our health care professionals are needed. We shall give every single one of our patients, not just the home care they need but also the emotional support that will strengthen them through the health crises they face. Loving Heart provides care for all! Loving Heart promotes equality in providing services and employment. With complying practice of Title VI of the Civil Rights Act of 1964 and the Age Discrimination Act of 1975, the company protects employees and clients from unlawful discrimination against race, national origin, gender, sexual orientation, color, religion, age, disability, ancestry or ethnic background.